A verdict is reached in the Parthenon Marbles case. Last week, on my way to a trial to decide what the British should do with the Parthenon Marbles they stole—er, took—from Greece, I made a short detour for a look at some treasures they stole from Benin. 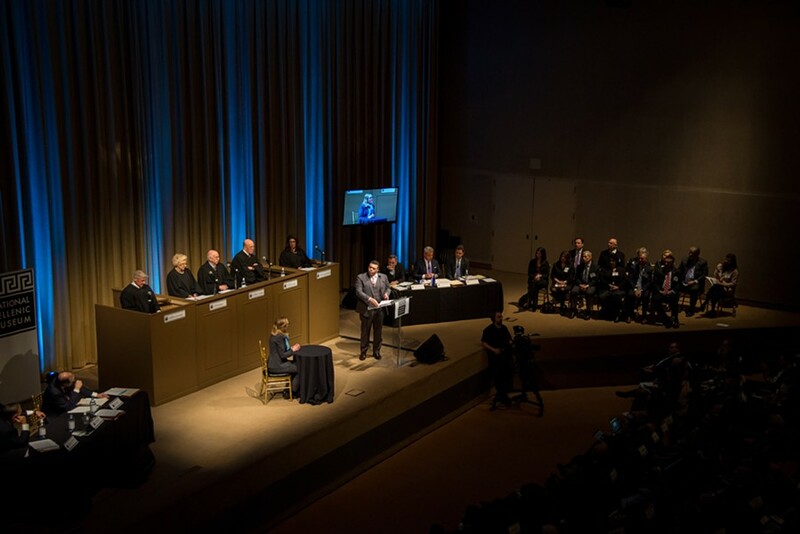 The trial—a mock event about an actual, raging cultural dispute—was produced by the National Hellenic Museum, which, yes, has some skin in the game. It was held at the Art Institute, where the Benin artifacts—including an intricately carved elephant tusk as tall as a human being—reside in the Gallery of African Art. 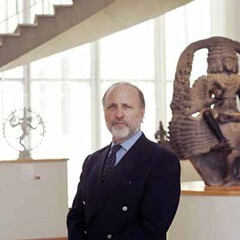 As it happens, both the Marbles and the Benin treasures made an appearance in a controversial 2008 book by former Art Institute president James Cuno, titled Who Owns Antiquity? Museums and the Battle Over Our Ancient Heritage. If Cuno, who has since moved on to head the antiquity-laden Getty Museum, had been at the trial, he'd have been rooting for the Brits. These Marbles, by the way, are nothing like the shiny little orbs that used to clank in your pocket. They're ancient sculptures that once decorated the walls of the Parthenon, that exquisite temple of the goddess Athena, built on the hill of the Acropolis more than 400 years BC. Like the Benin tusk, the Marbles embody the history and spirit of a people—in this case, the Greeks—at the height of the civilization that gave birth to much of Western culture. Over time, though, the Marbles had been damaged, especially during the four centuries, beginning in 1453, when Greece was ruled by the Ottoman Empire—and particularly during a 17th-century Turkish war with Venice, when the Parthenon was the target of a massive cannonball attack. In 1801, the British Ambassador to the Ottoman Empire, Lord Elgin, took it upon himself to have half of the Marbles removed and shipped to England, arguably to protect them. He did this at his own expense, much increased when one ship sank and the sculptures had to be recovered from the ocean bottom. The enormous cost of this three-year project apparently contributed to Elgin's subsequent financial straits; in 1816, in debt and in trouble, he sold the Marbles to the British government. 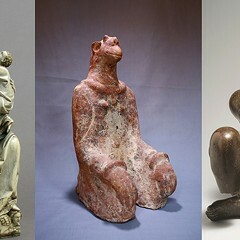 For the last 200 years, they've been on display in London, where they're the prime attraction at the British Museum. But Greece wants them back. One of the first things Greek officials did after winning independence in 1832 was to request the Marbles' return. The Brits refused then, and are refusing now, unmoved by the fact that Greece has built a new state-of-the-art museum at the Acropolis, where the sculptures would be reunited with those Elgin left behind, and displayed in the context that gave rise to them. That's the standoff the trial sought to resolve. 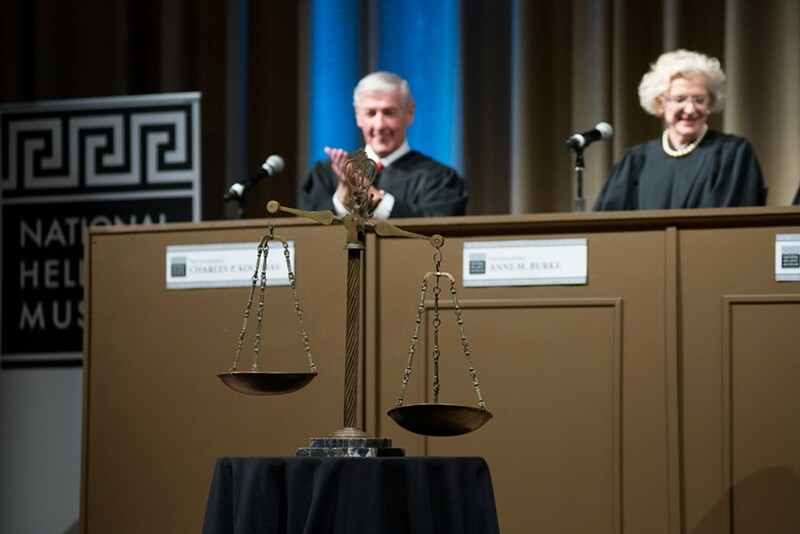 There was a full jury (with a noticeable Greek tilt) and a five-member panel of judges that included Illinois Supreme Court justice Anne Burke and presiding US Court of Appeals judge (and reliable gadfly) Richard Posner. The opposing forces were represented by two powerhouse teams of Chicago attorneys: former U.S. Attorney Patrick J. Fitzgerald, former Assistant U.S. Attorney Patrick M. Collins, and Tinos Diamantatos represented the British Museum; former U.S. Attorney Dan Webb, Sam Adam Jr., and Robert A. Clifford argued for Greece. And each side produced an expert witness. Antiquities expert Molly Morse Limmer, testifying for the British Museum, said 40 percent of the Marbles had already been removed when Elgin got there. She noted that the Greeks refused a British offer to loan them the Marbles, and warned of a "domino effect" if they were returned that would spread to other museums. Sam Adam Jr. questions Dr. Fiona Rose-Greenland. Archaeology expert Fiona Rose-Greenland testified that Elgin didn't have authorization to take the Marbles, and that he damaged them further when he removed them. In the new Acropolis museum, she said, they'd tell the story of the birth of democracy. Lawyers arguing for the British Museum claimed that the Turkish military had been using the sculptures for target practice, and that Elgin only wanted to save them. According to Fitzgerald, Elgin "is getting a bum rap," broke no law, and wouldn't have been able to spend three years dismantling the Marbles if he didn't have permission to take them. Making the case for Greece, Clifford argued that Elgin never rightfully owned the Marbles, and "you can't sell what you don't own." Webb asked jurors to consider how they'd feel if, say, the American Declaration of Independence had been given to a Russian museum. And Posner instructed the jury—and the audience, which also got to vote—not to let their ancestry or emotions influence their decision, but to stick to legal considerations in this battle between the British Museum's "cultural universalism" and the "cultural nationalism" of the Greeks. Nevertheless, eight of 12 jurors voted to return the Marbles to Greece, as did all of the judges except Posner. He cautioned against romanticizing ancient Athens ("a slavocracy"), worried about a precedent that would send "half the art world back to France," and said if the Marbles "were lawfully received, there's no need to return them." But what would've been lawful, in 1801, about permission that would've been granted by a sultan, head of an occupying force that had no regard for Greek history or identity? The audience vote—made by casting a chip into one bag or another and measured on a "scale of justice"—registered a clear majority for return. That led Posner to opine that Greece could expect to get them, "maybe sometime in the next 1,000 years." 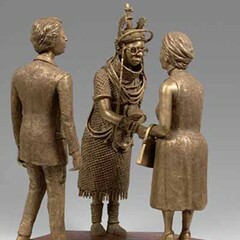 Meanwhile, the Marbles remain in the British Museum, and the Benin tusk, looted in the 19th century by British forces on a "punitive expedition," remains in the collection of the Art Institute. A new exhibit shows how, in the Middle Ages, all trade routes eventually led through the Sahara. At the Art Institute's summer show, Benin royals get a good look at the stuff they want back. 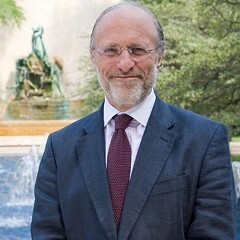 In a controversial new book, Art Institute president James Cuno argues that museums should trump nations.